So you’ve set a date and booked your venue – well done, you! Now, the fun begins with letting your favourite friends and family know about the biggest party of your life. 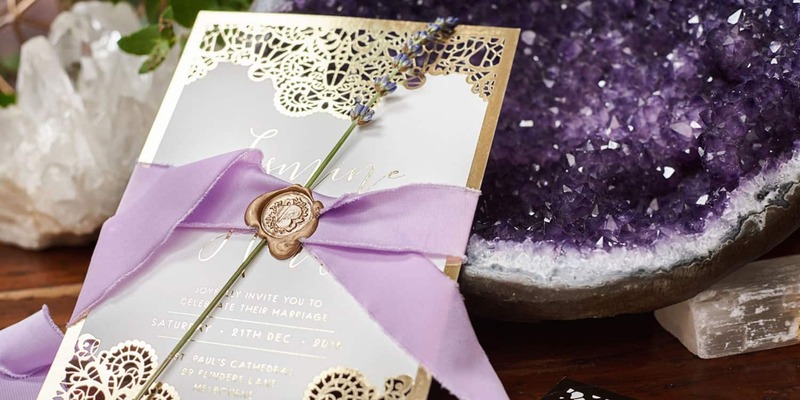 Wedding invitations set the tone for your upcoming wedding – and it is definitely an area where you can show off your creativity. With your wedding invitations, the sky is the limit. Don’t miss our gorgeous image collection of wedding stationery options which show just how endless the ideas are for beautiful stationery. And, we’re not just talking about the look – these fab wedding quotes are a great idea to incorporate into your wording. Imagine watercolour invitations with formal wording or gorgeous letterpress save-the-dates singing out for a party celebrating your love.